Now that we have a better indication of when the upcoming major Windows Phone7 update will arrive, it paves the way for the introduction of potential CDMA handsets. So far, there have been a variety of GSM carriers around the world have been able to scoop up devices running Microsoft’s revamped mobile operating system, but CDMA customers have only been able to watch from the sidelines thus far. Well, it appears that Verizon and Sprint will finally see Windows Phone 7 handsets arrive within the first of the year. After announcing that CDMA support for Windows Phone 7 will be included with the much-anticipated update in early March, Microsoft went out on a limb to give us all a time frame on when to expect actual devices. Specifically, we should see it arrive within the first half of 2011 – so that means between now and the end of June. Granted that they didn’t branch out further with the details regarding devices or a date, it should still nonetheless give some hope for CDMA customers who have expressed interest in checking out the new platform. I'd like to see the HTC 7 Pro on Verizon. Many of us still love our QWERTY keyboards and the 7 Pro looks like typing heaven. Be nice just to have the option. Be nice to have and take that option. My family, including my parents and my generation cousins have enjoyed Android, but all want to make a switch to WP7... It is a more contained OS with generally better battery life on their phones. 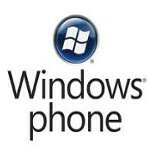 WP7 will gain grounds once released on the CDMA network - more so with Verizon in my opinion. Hopefully they bring their best guns on the nations best network! !